Microsoft has disabled a flawed Intel software update that was causing some customers' computers to reboot unexpectedly. Intel had issued its software patch to address a security issue affecting millions of its processors worldwide. But the software caused many machines to reboot or shut down and Intel later told people not to install it. Microsoft said its update for Windows 7, 8.1 and 10 disabled Intel's buggy patch and stopped the rebooting issue. "Our own experience is that system instability can in some circumstances cause data loss or corruption," Microsoft warned in a security bulletin. The company said it had issued the unscheduled security update "while Intel tests, updates and deploys new microcode". 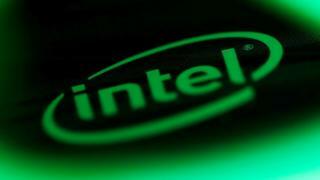 Security researchers criticised Intel over the time taken to fix the security issues. "Microsoft saving the day while Intel drags its feet with incompetent patches leading not only to system instability, but also data corruption in some cases," wrote Artem Russakovskii, founder of the smartphone news site Android Police. Researchers discovered gaps in security stemming from central processing units - better known as the chip or microchip - that could allow privately stored data in computers and networks to be hacked. On 22 January, Intel told customers not to install one of the security updates it had issued, as the software patch was causing more problems. The company said it had reproduced the problem and was "making progress toward identifying the root cause".